Everett “Red” Boutilier was a well-known photojournalist who never missed a boat launch in Midcoast Maine. 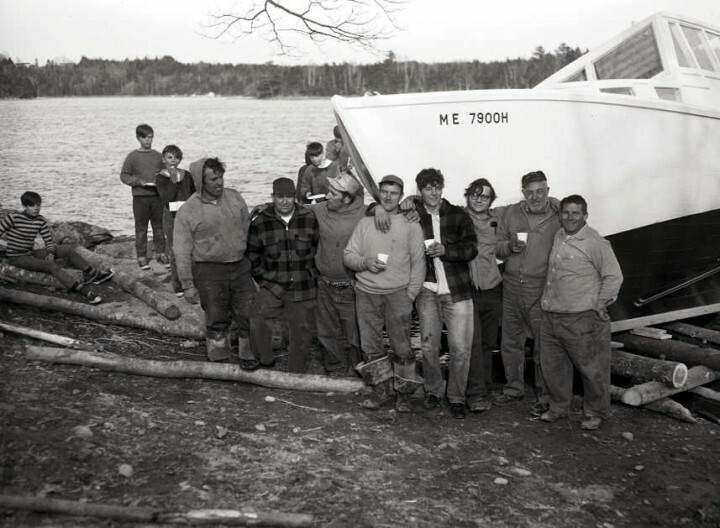 In the 30 plus years he worked in the state, he documented not just the boat building industry but the people involved in it. This exhibit takes an in depth look at two of those boat building families, the Carters of Waldoboro and the Lukes of East Boothbay. PMM thanks Liz Fitzsimmons, one of our invaluable corps of volunteers, who generously donated her time and talent to curate this exhibit. Liz also wrote the captions and conducted the interviews which are excerpted in the following pages (interview clips are matched to specific photographs).